Bento is a portable boxed meal taken to school or work, on excursions, train trips, to sports meets or cherry blossom viewings. Bento are of many kinds: made at home, ordered out and delivered, bought at bento or convenience stores, and even served at restaurants. They are usually eaten for lunch, but are sometimes suppers for people working overtime or in out-of-the-way places. 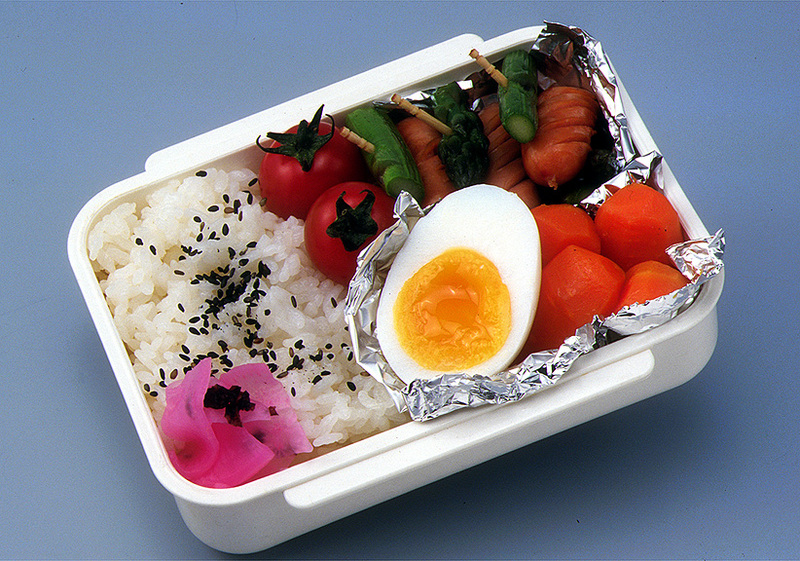 Many mothers and caregivers rise early to prepare nourishing and attractive bento for their children or spouses. Rice, the staple of Japan's diet, generally accounts for a large portion of each bento: okazu (おかず side dishes), are added to suit personal tastes and nutritional needs. Okazu are of fresh ingredients chosen for attractive color and seasonal flavor. Bento are economical and practical, do not require refrigeration, and are made with ingredients that are tasty even when cold. The makunouchi bento (幕の内弁当 まくのうちべんとう) emerged in the Edo period in Edo (now Tokyo) as the meal of theatergoers attending all-day performances of kabuki. The bento was eaten during intermission (makunouchi), hence the name. 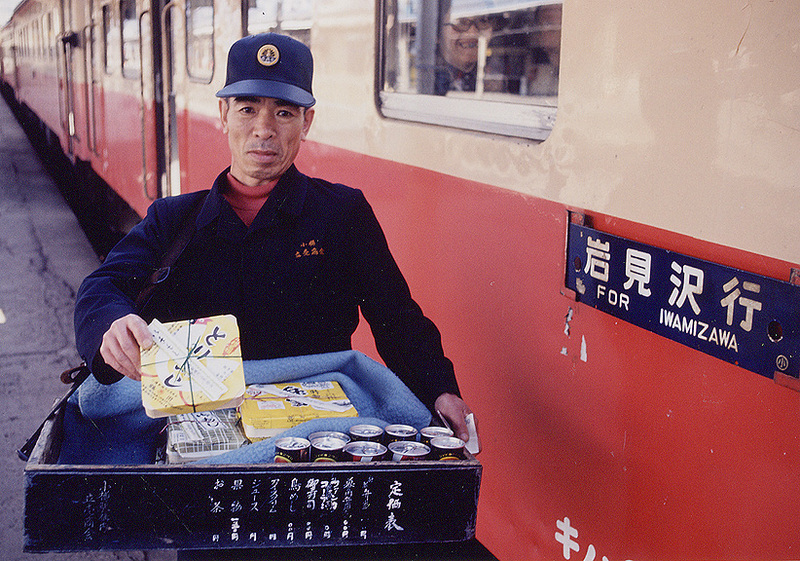 Makunouchi is now the standard type of boxed lunch sold at train stations and at bento shops. The rice may be molded into bite-sized rolls and sprinkled with sesame seeds. The typical ingredients include grilled fish, tamagoyaki (卵焼き たまごやき rolled egg), slices of kamaboko (かまぼこ boiled fish paste), simmered vegetables (nimono), and other side dishes. The first ekiben, or "station specialty bento," believed to have been sold in 1885 at Utsunomiya Station (Tochigi Prefecture), consisted of onigiri and tsukemono pickles. The railway system developed more rapidly than the highway system and travel in private vehicles, and enjoying ekiben, which helped promote local specialties of places along each train line, became established as one of the highlights of travel. Department stores sometimes have ekiben fairs bringing together station bento from all over the country. Ekiben feature regional dishes of the area where the station is located, and sometimes even the box it comes in reflects the local culture or history.